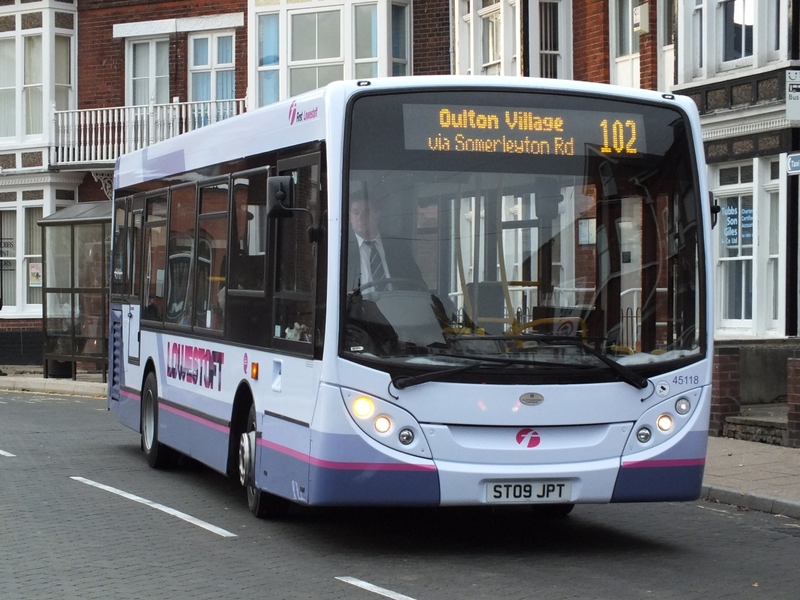 Enviro 200 Goes On Tour! 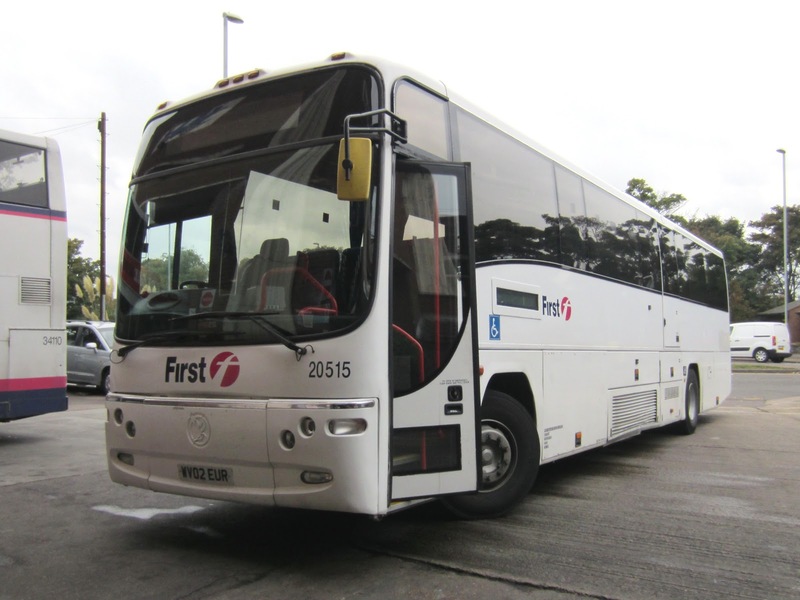 Both were brought into service almost immediately with the latter surprisingly working the 2100 hours X2 Lowestoft to Norwich service and return last night! 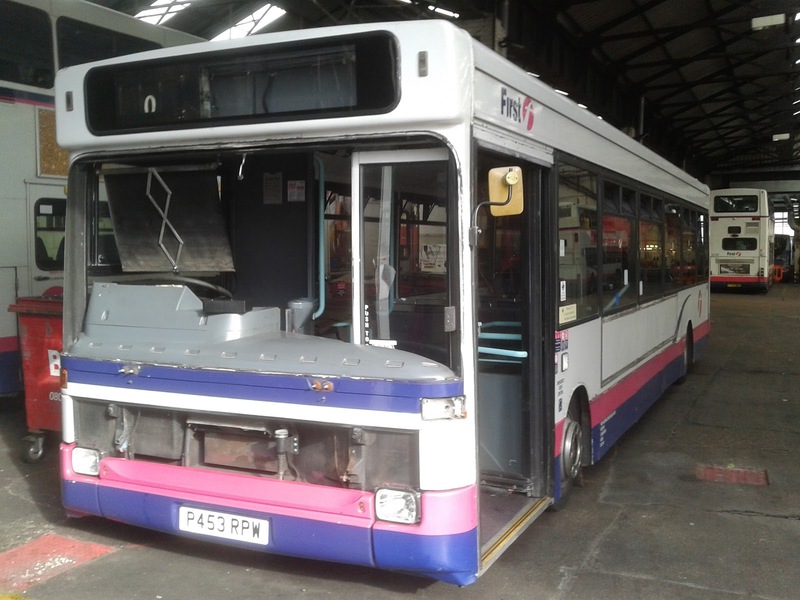 Ryan tells me that she has been undergoing repair at Great Yarmouth's Caister Road depot for almost two weeks now and is having a brand new engine fitted. 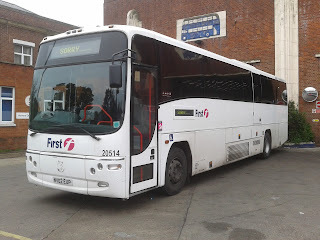 I took a photo of her at Gordon Road, Lowestoft shortly after being transferred from First Essex Braintree depot to work Beccles services. 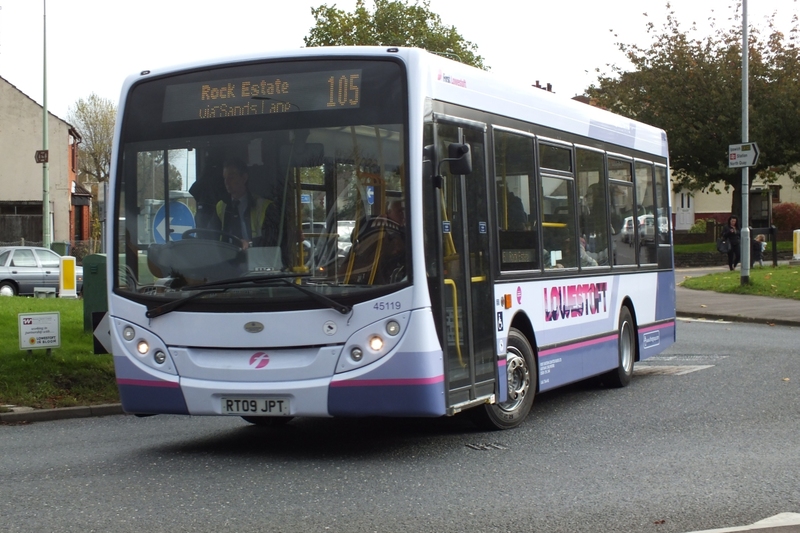 As reported in yesterdays blog posting, three of First's recently acquired Enviro 200s finally entered service in Lowestoft yesterday. The arrival of the three Enviro 200s in the town has not caused any Lowestoft Darts to be withdrawn, as yet! 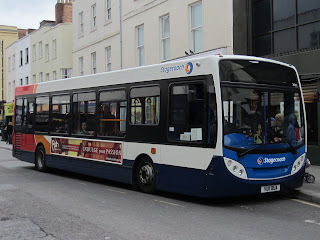 My thanks to both Syd and Grahame for their photos which are copyrighted. Lowestoft E200s Already in Service! Grahame Bessey reports that the second of the two former First Midlands (Worcester) vehicles arrived at First's Great Yarmouth's Caister Road depot yesterday. 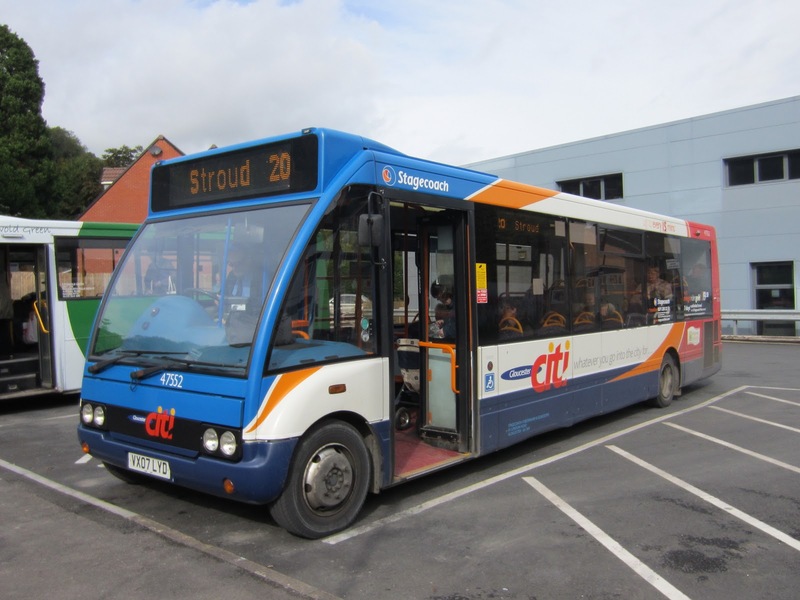 A report on day two of our break in Gloucestershire with most of October 2nd being spent in either Cheltenham or Gloucester. With some visitors from across the pond riding as well this made the trip an enjoyable experience. 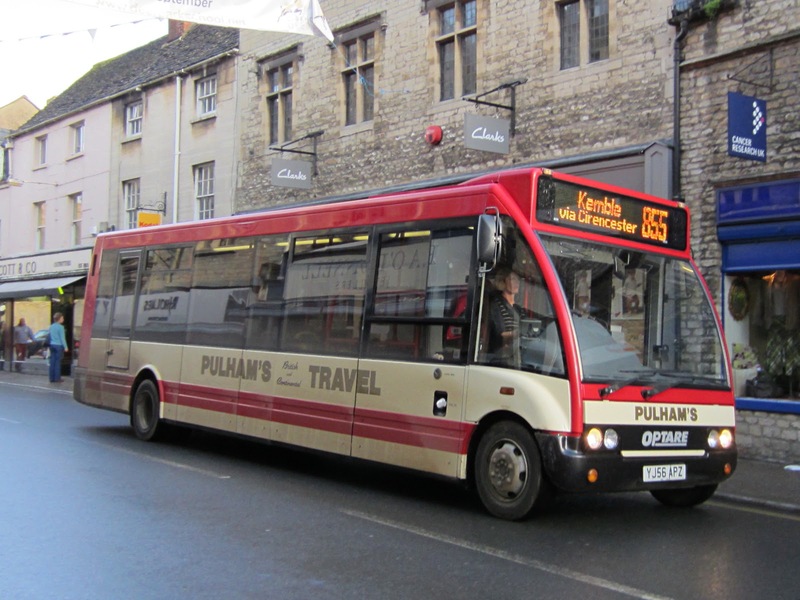 too long and we were dropped off in Winchcombe Street. Unfortunately Zak was unable to get a photo but one of JJD374D is reproduced here under the creative commons licence. 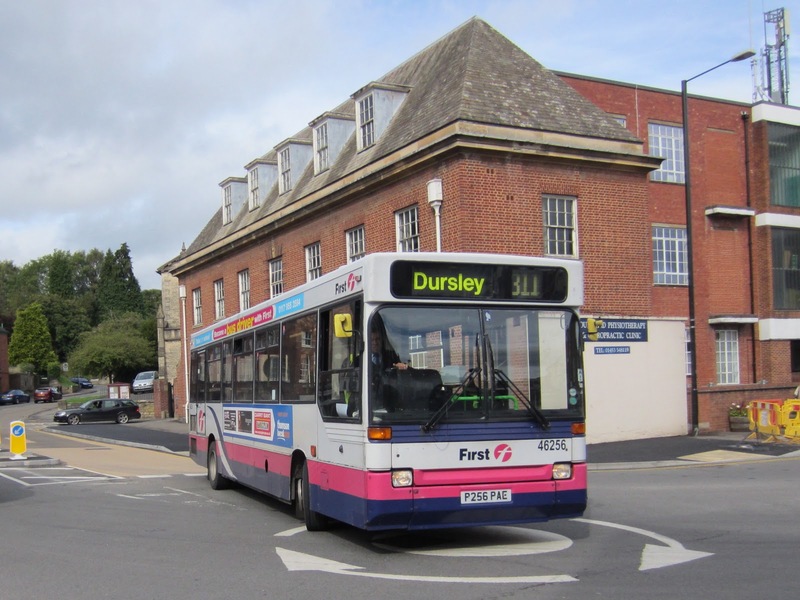 Preliminary searches revealed a family link with the market town of Dursley, located just off the M5 some 12 miles south of Gloucester. 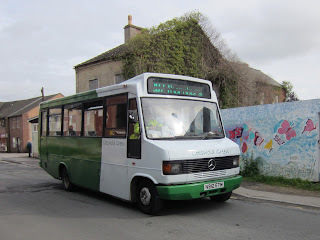 Having negotiated our way through the school buses and finding our way to the central area we decided not to stop and continued onto Cirencester through continuous wet weather. 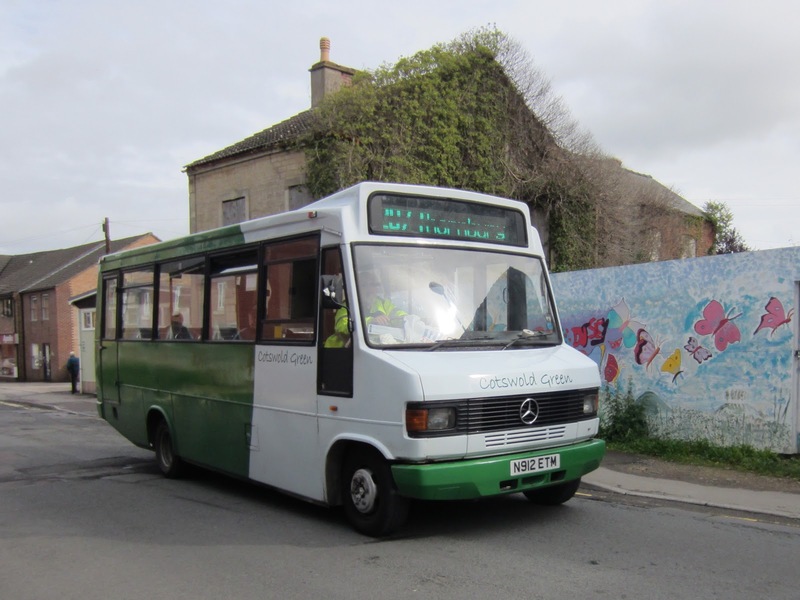 Dennis Dart L720JUD; this time operated by Cotswold Green. bus blog of the same name!! 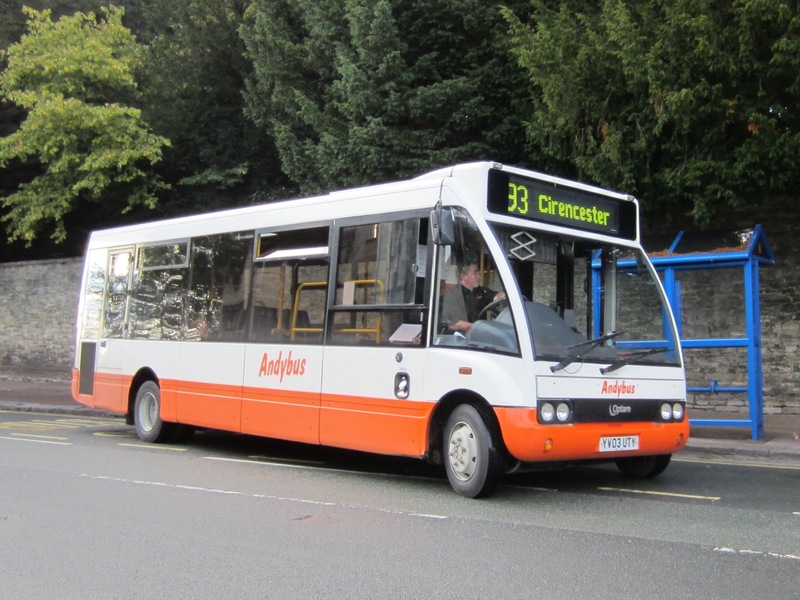 It was yet another Solo - YV03UTY of the M850 variant in the operator's orange and white colour scheme. Regular contributor Grahame Bessey went in to Great Yarmouth town centre this morning to discover what was working the new X1 shuttles. She is being cannibalised for parts with windscreen wipers and the radiator grill being the first to go. 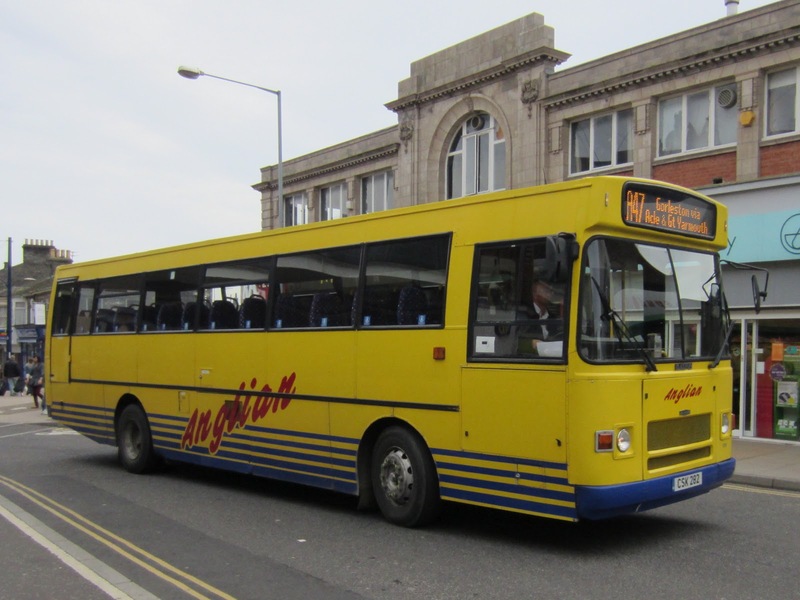 Coincidently I travelled back to Gorleston yesterday afternoon on sister vehicle 43452 R452RPW! Belle Coaches Setra 37 MIL3503 was about to leave to pick up shoppers at Market Gates for their short return journey to Lowestoft. With the recent introduction of new timetables by both AnglianBus and First on their services between Great Yarmouth and Norwich it appears that the route is becoming intensely competitive. 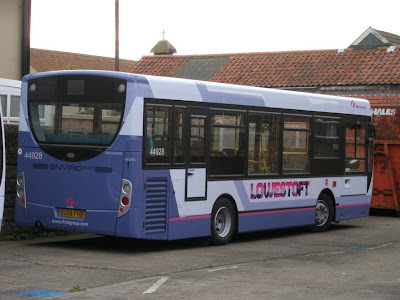 AnglianBus are continuing their aggressive stance by introducing a new service between Lowestoft and Norwich in competition with First's X2 route. 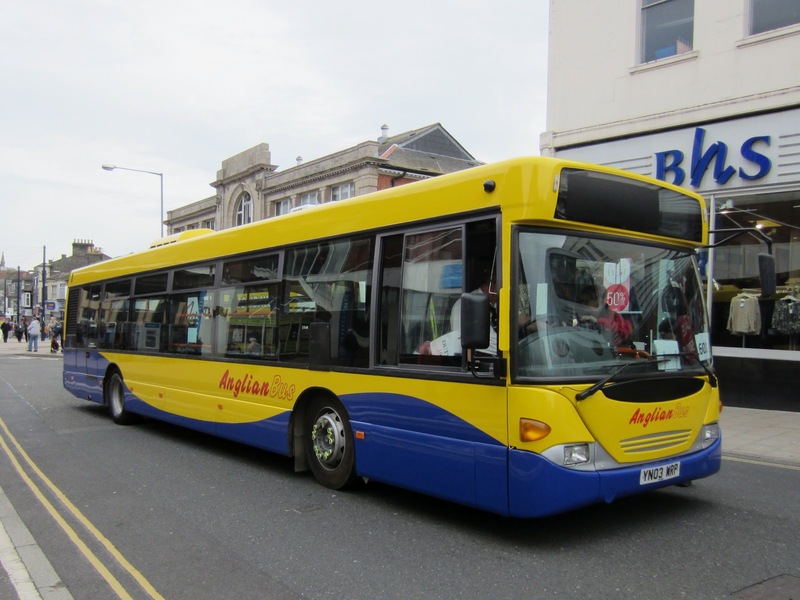 Service 146 is to start between the two centres in early December and it is expected that some of the 13 new gas powered buses currently on order could be used on the route. 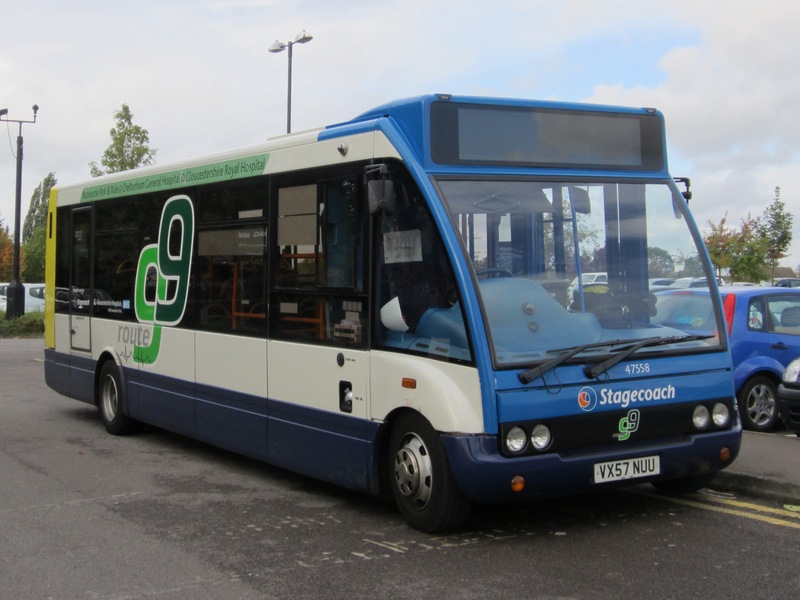 We trialled the bus on three different routes last year and were extremely pleased with the results and feedback from drivers and passengers. 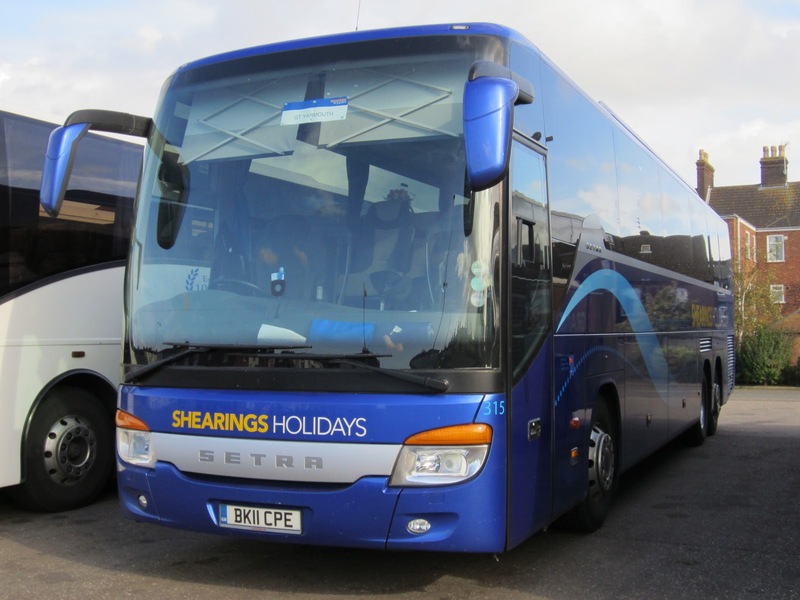 We were successful with our bid earlier this year and I am hoping we will see them in a few weeks’ time – to start in December or January. The new vehicles represent a significant investment by the company and they should also make an appearance on services in the Great Yarmouth area. 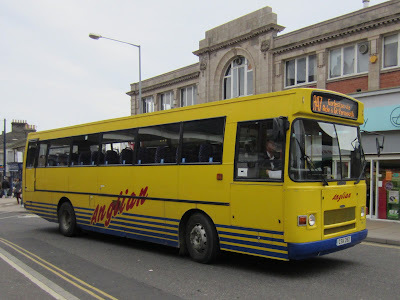 In addition to the daytime half hourly Lowestoft - Peterborough service, there are the so called "X1 shorts" linking Great Yarmouth with Norwich at peak times. 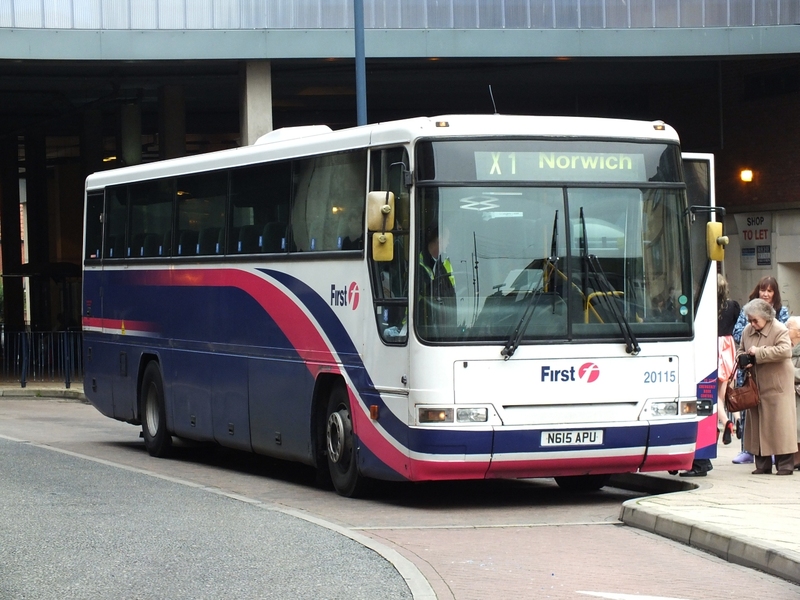 These additional services are being augmented into a regular frequency timetable which will mean extra services from Great Yarmouth at 27 & 57 minutes past the hour and eastbound from Norwich at 10 & 40 minutes past the hour. 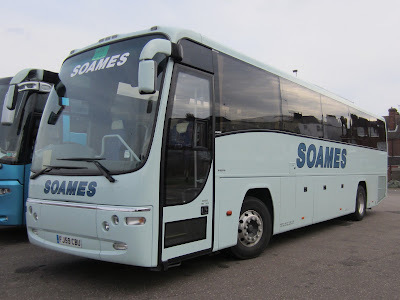 Wrong Line & Breakdown Too! This was also evident on Saturday evening last as highlighted by Joe Wilson's report on the use of the Purple Line bus on Norwich's Red Line! 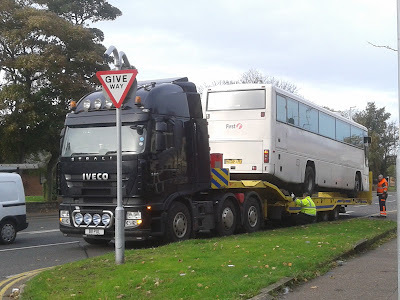 Not only that but it breaks down too! 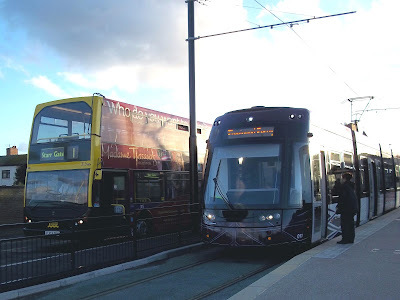 On Saturday evening I happened across something that was very noteworthy and almost as funny. 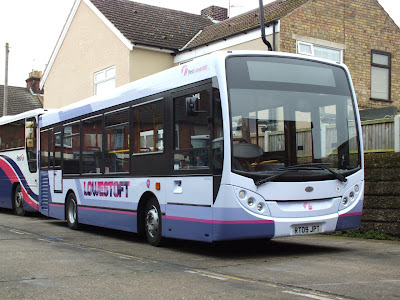 On Plumstead Road, close to Aldi a purple line Volvo B7 Wright Eclipse 66330 was spotted. Not only was she on the wrong route, but she had failed (running out of diesel) on double yellow lines no less! The bus was working the 24A to the city centre, however, to add further comedy to the situation the screen would rewrite its self, swapping from the 24A to the 23B (have attached pictures of it saying both, I, nor anybody else changed it). 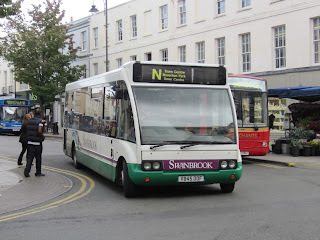 ........ or was it working the 23B route? 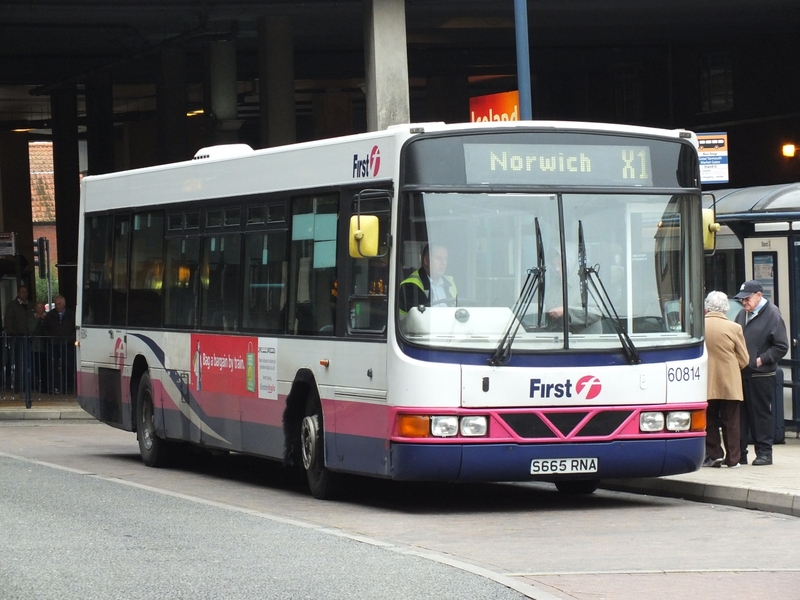 Another embarrassing state of affairs for First Norwich! 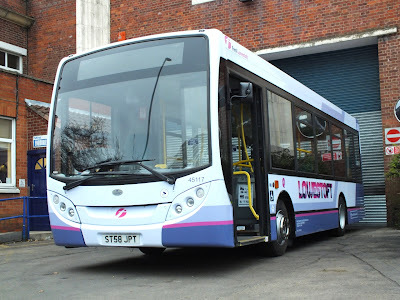 Following the arrival of First's Enviro 45117 ST58JPT earlier this week, Grahame Bessey reports that a further three examples returned to Great Yarmouth's Caister Road depot yesterday. 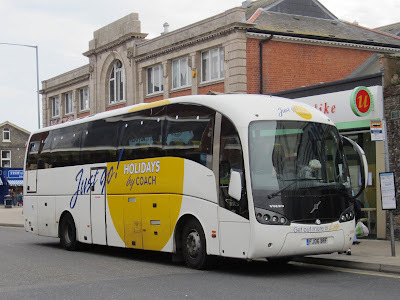 Of particular interest is long term Great Yarmouth vehicle Plaxton bodied Dennis Javelin G470LVG; she was acquired from Caroline Seagull following its demise. Rob Collins spent a few days there in mid-September in typical British summer weather which was not all that conducive to taking good photographs. built Flexity 2 trams nearing the Bispham stop. addition to the poor weather, buses had to negotiate the many roadworks in the town with them being sent all over the place! 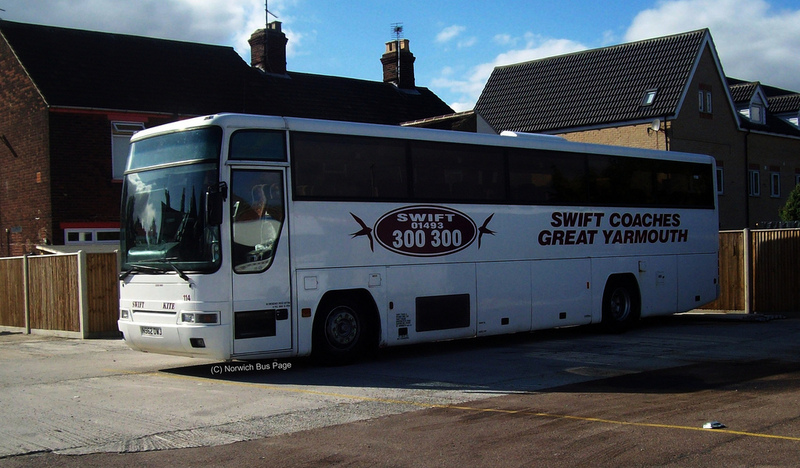 Until recently appearances of the AnglianBus StreetLite quintet in the Great Yarmouth area have been mainly confined to Beccles services. However, they are now becoming common on the 601 route as well; which operates between the town, Lowestoft, Kessingland and Southwold. 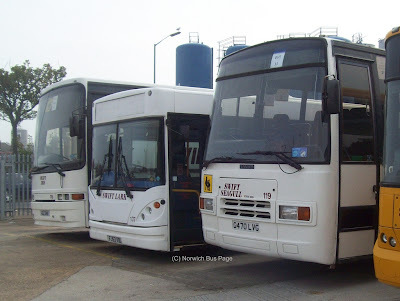 Regular blog readers will be aware that two of First Eastern Counties Euro 200s have returned to Great Yarmouth's Caister Road depot after a visit to the paint shops at Full Circle. Other news from Caister Road is that Plaxton bodied Volvo B10M 20102 N602APU has been withdrawn from service. 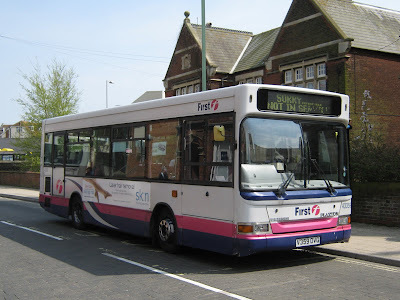 to be withdrawn is Dennis Dart/ Plaxton Pointer 43453 R453RPW; new to First Blue Bus in Great Yarmouth in 1997. 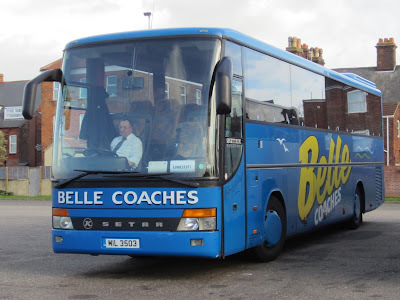 I am also grateful to Grahame Bessey for spotting the 'deliberate mistake'! My Dart followed it into the Market Gates Bus Station and it was parked in a great position for a lovely picture; but I was otherwise gainfully employed listening about a friend's USA holiday! However, I did manage to get a picture of the bus on the return working from Norwich. 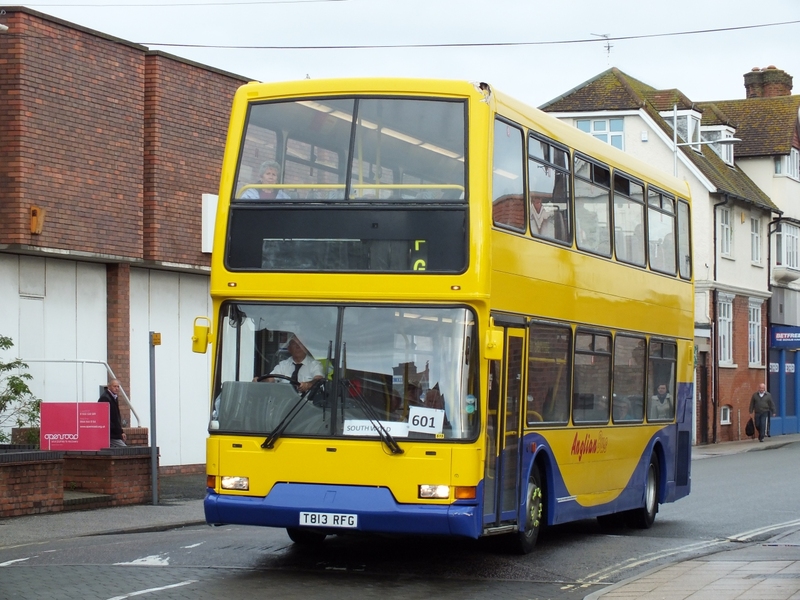 CSK282 was acting a replacement for Scania R82EMB which broke down in South Walsham on the 731 service earlier in the day. 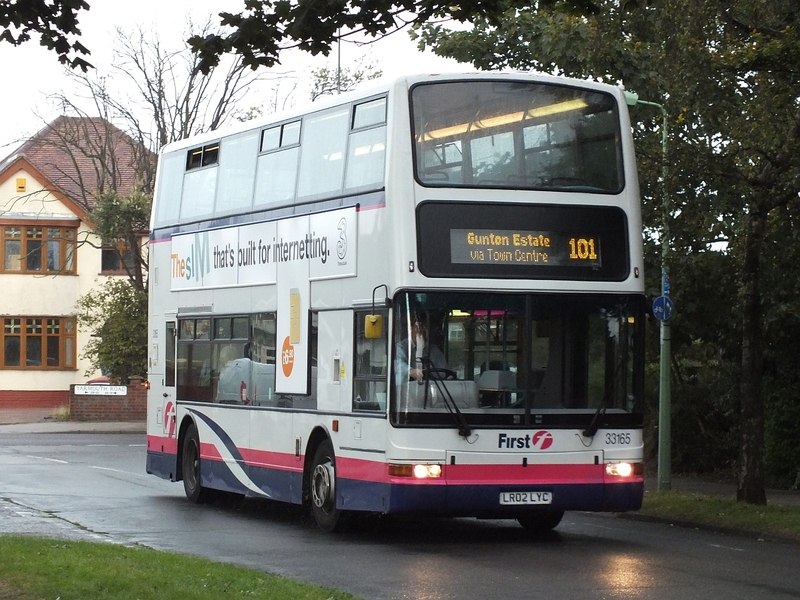 The vehicle on the 731 normally then continues on to work the A47/X47 service. The Scania had resumed its duties by mid-afternoon. the ASDA name; it was being employed as the ASDA Shoppers bus! 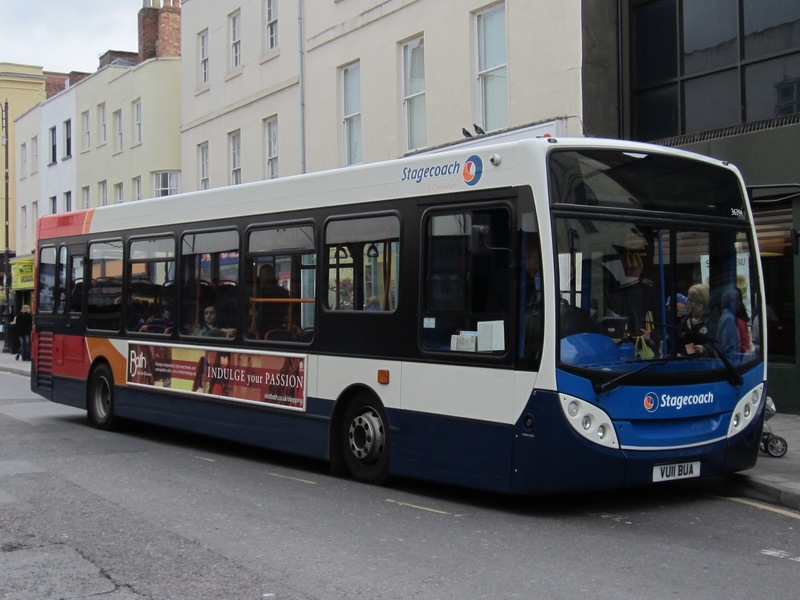 It made at least two return journeys until around midday when the normal Optare Solo was seen on the route. 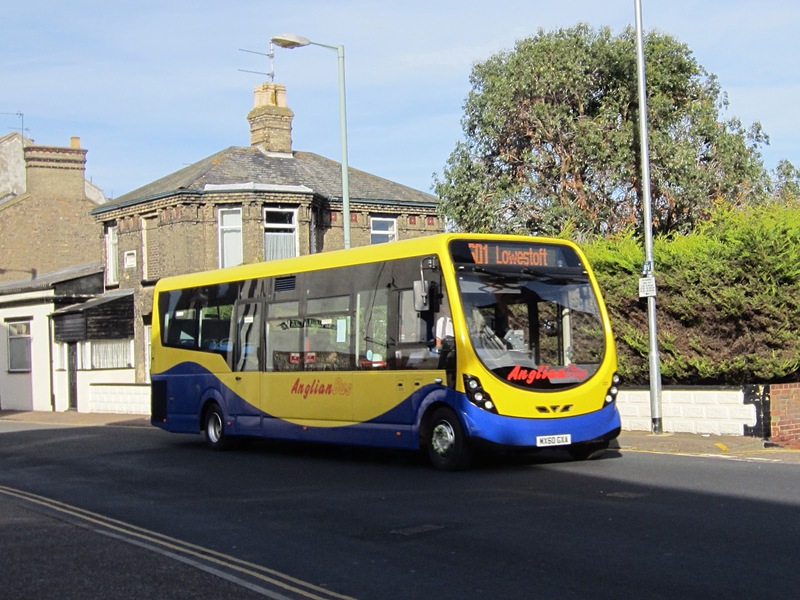 Whilst she has now received AnglianBus branding she has yet to have the destination displays working. Hence, the white card displaying 601! 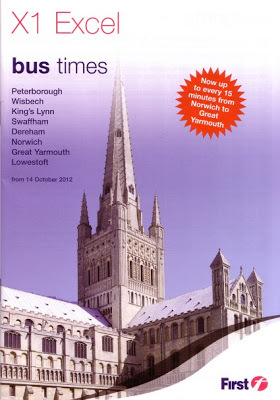 My thanks to Joe at Norwich Bus Page for the additional info. 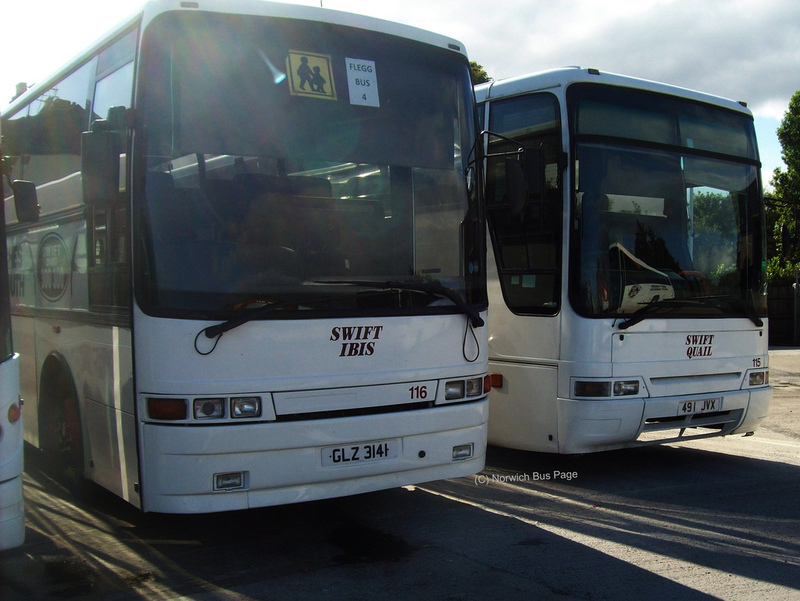 They are former JP Transport RT09JPT and former SM Coaches EU08FHB; both painted in the 'refreshed livery' with Lowestoft branding. Grahame also informs me that Norwich were short of single deckers on Friday (29th September) so Lowestoft sent Dart 43459 R459BNG to the city with Trident 33165 LR02LYC moving in the opposite direction. One of the hardly noticeable participants at the East Anglia Transport Museum's Trolleybus Gala held last month was the former Ipswich Corporation Ransomes Tower wagon. 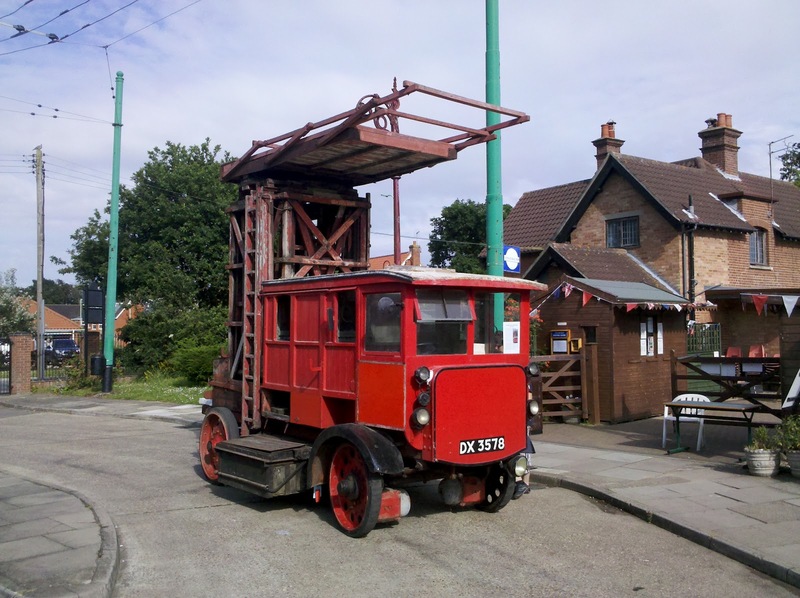 Work began on the restoration of 1922 built DX3578 during the summer with the first job being to top up and charge the batteries. Chilvers reports that after 46 years they are still ok! 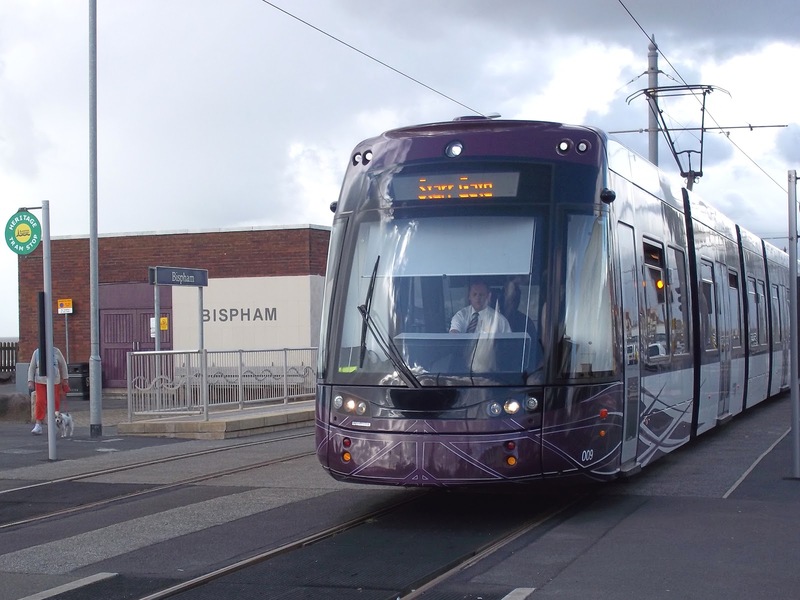 It can do up to 22 laps of the Museum site. The plan is to have a Suffolk Day next year with Ipswich Transport Museum's Trolleybus 105 operating and various "Suffolk" built or operated vehicles. My thanks to Neil for the report and photographs. My apologies also for the non - appearance of Neil's photos in my initial posting!